There are many myths created by mankind that are still, unfortunately, believed to this very day. Not least of these myths is that you do not need to clean an airgun. This is only a myth and it is a very easy one to prove incorrect. We’ll get to that in a minute. I don’t know how this myth started, but I do know why it is still currently perpetuated. It is still currently perpetuated because it is still currently repeated. Today my goal is to prove to you that you do indeed need to clean your airgun and perform periodic maintenance upon it. Even further, it is my hope that you will repeat the information that I share with you today. For you are your brother’s keeper. As some of you may know, I have a Youtube channel called “ALL THINGS AIRGUN.” On that channel I posted a video entitled, “Should you clean your airgun or not? (a silent film).” In that video I used a JSB .25 caliber pellet superglued to a chopstick as a pencil to write out everything on paper that I wanted to say. I would then show that paper to the camera. The whole thing didn’t work quite as well as I had hoped due to the exposure setting of the camera and the lighting conditions. Basically, it was hard to read the papers. Still, the message was sound. I was writing on a piece of paper, quite easily, with lead that was shed from a pellet. Lead tends to form weak bonds with itself. Thus, a piece of lead will gladly shed lead molecules. What’s more is that it will also just as easily stick to itself and other things. It readily forms weak covalent bonds. This is the point I was trying to illustrate in my silent film video. Perhaps the video would have worked better with better exposure and lighting, but we’re just going to discount that video for today. So what evidence will I provide to prove to you that you should clean all airguns and perform maintenance periodically? Owners manuals. I am going to provide snippets from a few top of the line airgun owner’s manuals. I could also site the fact that I work for one of the largest airgun repair organizations in the USA, and that our techs are constantly fixing problems caused by lack of cleaning and maintenance every single day…but I won’t. I’ll just use the owner’s manuals that are provided for airguns costing $1000 or more. These airguns are the best of the best and serve as the most highly refined and polished examples that I can find. If it is warned by these manufacturers that airguns of this level need to be cleaned and maintained, you can safely infer that it also applies to airguns that are less refined and lower cost. From the Weirauch HW100 owner’s manual, “A fouled barrel affects accuracy and performance. The barrel’s bore should be cleaned by means of a felt wad, a cleaning cloth or felt cleaning pellets.” That’s just the little part where they address the bore. They thoroughly address the rest of the gun in the manual. This rifle costs about $1400. 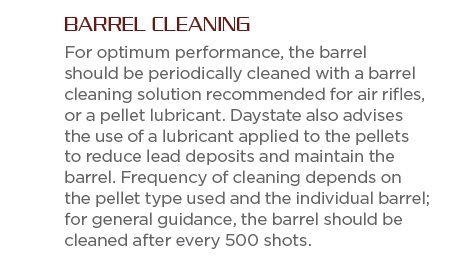 From the Air Arms S510 XS Ultimate Sporter owner’s manual, “For ultimate accuracy, clean and re-lube the barrel frequently. It is difficult to advise how often is best for every circumstance, but every 250 shots is not too often if the desire is to keep the barrel in the best possible condition.” Again, further maintenance is also recommended in the manual. This gun costs about $1500. From the Daystate Red Wolf owner’s manual, “For optimum performance the barrel should be periodically cleaned with a barrel cleaning solution recommended for air rifles or a light grade oil…..Frequency of cleaning depends on the pellets used and the individual barrel, but as general guidance the barrel should be cleaned at least every 500 pellets.” This airgun costs a minimum of $2400 and comes with a Lothar Walther barrel. There are also more recommended maintenance procedures listed in the manual. These are just three examples of the very manufacturers of these airguns plainly telling you that yes, you should clean your airguns. 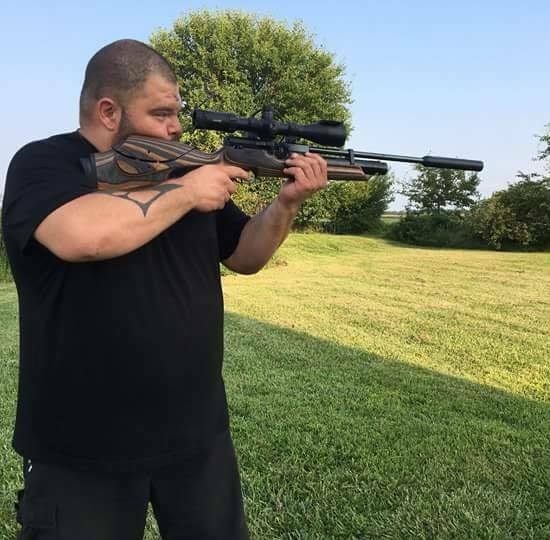 No matter who it was that told you that you don’t need to clean an airgun, they do not know more about these airguns than the manufacturer does. They do not know what is best for these airguns better than the manufacturer does. I certainly don’t know more about these airguns than the manufacturer, which is why I listen to them when they tell me to clean their airguns. I highly recommend that you do the same. Even just running a Hoppe’s BoreSnake through the barrel dry is better than nothing. I use one all the time and recommend them to every customer who buys a gun here. Of course, there are better methods to clean your airgun. In a future blog I will demonstrate how I clean an airgun, and I’ll probably include a video to accompany it. If you’ve read this far, I thank you for your interest. This is my first written blog. I’m sure I will get better at it with practice and welcome any critique and feedback. Please feel free to leave any comments, questions, or suggestions in the comments section below. Hello, Lars. Thank you for the reply! I couldn’t agree more. In fact, a future blog will be all about this topic…meaning what to do and not do so far as maintenance is concerned. Thank you, Jerry! I agree that one must collect and listen to the data. Much like Issac Asimov…I believe in evidence. Good write up. Cleaning does promote consistency of the pellet’s travel down-bore. It’s clear from your article that high accuracy depends on many factors especially what’s left in the bore after a certain number of shots. Accuracy can be adversely affected by a build-up of residue past a certain point of what was previously a “sweet spot” of bore interior conditions. Thanks for this well reasoned blog! Thanks, Vince! Indeed it does depend on many factors.